Home > COMET INDUSTRIES BELTS > COMET INDUSTRIES 203786-A/DF CVT BELT > Comet 203044A. Package of 3 “Spring Clips” for Comet Industries 40 SERIES “40C” Drive Clutch. Comet Industries 203044-A. > Comet 203648A - 3-Pack of "Standard" Heavy Roller Weight Kit. > Comet 204529C. Comet Industries 40 Series Drive Clutch. Comet 204529-C. 1" Bore. 1/4" Keyway. Manco 204529C from Comet Industries. Comet 40 Series Drive Clutch. 1" Bore. Comet/American Sportworks-ASW/MANCO Part 204529-C.
NOW IN STOCK! LIMITED SUPPLY. 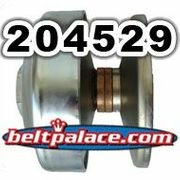 204529-C MANCO-Comet Industries 40 Series Centrifugal Clutch. 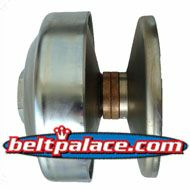 Comet 40 Series Drive: 1" Bore, for MANCO/Comet Go Karts. **Two brass bushings on post.